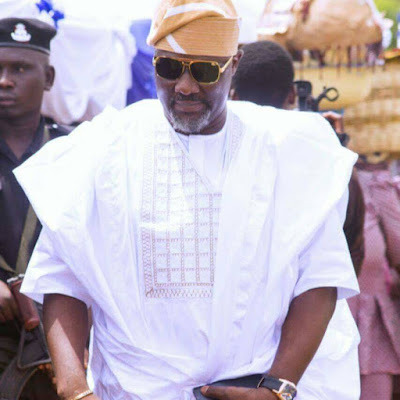 Senator Dino Melaye, representing Kogi West Senatorial District to day in a motion titled “The Unlawful and Willful Misappropriation and Criminal Witholding of Public Revenue by The NNPC and NPDC from 2013 to Date. He however noted with worry the growing concern the way and manner the NNPC and the NPDC has been carrying on crude oil lifting through less than transparent operations. Senator Melaye stated that since 2013 to date NPDC has continued to lift crude oil from divested oil wells OML 61, 62 and 63 worth over $3.487bn without remittance of any nature to the Federation Account. He also noted that the same NPDC has been lifting from divested oil wells OML 65, 111 and 119 to the tune of $1.847bn out of which it only paid $100m only. 1. That the senate through its joint committees of upstream petroleum and finance do investigate these allegations through a public hearing on the length, breadth, width and depth of this corruption with a view to recovering every fund due to the Federation Account as a result.2. That the NNPC and the NPDC immediately remit monies obtained on behalf of the federal government to the federation account upon lifting and the GMD ensure compliance to this directive with immediate effect.3. That the NNPC must forward to the national assembly for appropriation its yearly estimate for repairs and pipeline operations and maintenance. The President of the Senate, Dr. Bukola Saraki expressed shock that such criminalities could happen when the nation has Minister of Petroleum, Minister of Finance and Auditor General. He therefore directed the committees concerned to thoroughly investigate the allegations and report back to the Senate on the 9th of January, 2017.